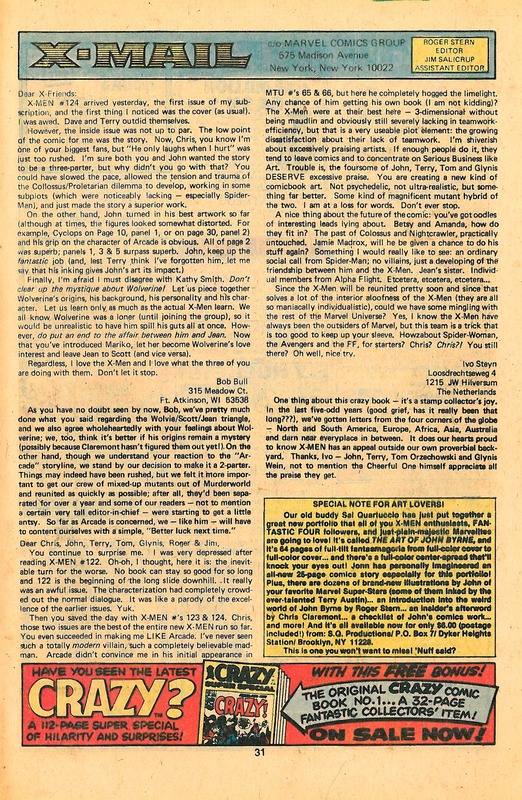 Description: The X-Mail letters page of Uncanny X-Men #130 (February 1980) highlighted the publication of The Art of John Byrne Volume One, saying "It's 64 pages of full-tilt fantasmagoria from full-color cover to full-color cover...and there's a full-color center-spread that'll knock your eyes out! John has personally imaginered an all-new 25-page comics story especially for this portfolio! Plus, there are dozens of brand new illustrations by John of your favorite Marvel Super-Stars (some of them inked by the ever-talented Terry Austin)... an introduction into the weird world of John Byrne by Roger Stern ... an insider's afterward by Chris Claremont... a checklist of John's comics work... and more!" 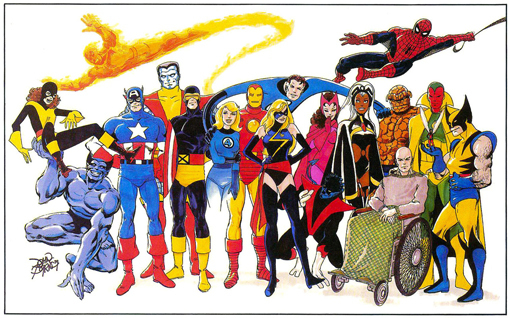 You can view most of the illustrations from this volume online at Byrne Robotics, but not the 25-page original story, checklist and other extras. So go ahead and search for an original on eBay. This book is a must-own for any John Byrne fan for lover of Marvel in the 1980s. 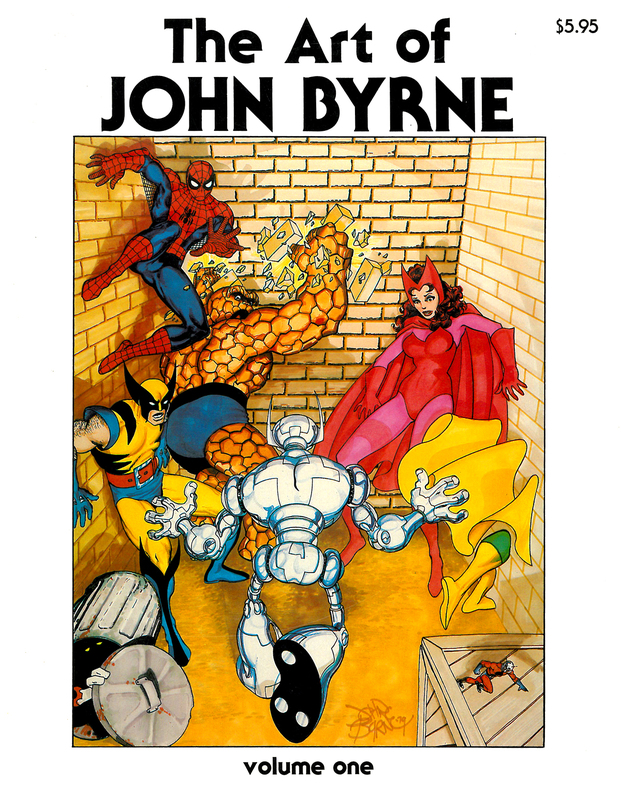 Every Byrne fan should own one, now where's volume 2 ? That's a fact, Gerry! I really wonder why SQ never produced a second volume, but I suppose it's possible that SQ didn't last long enough.